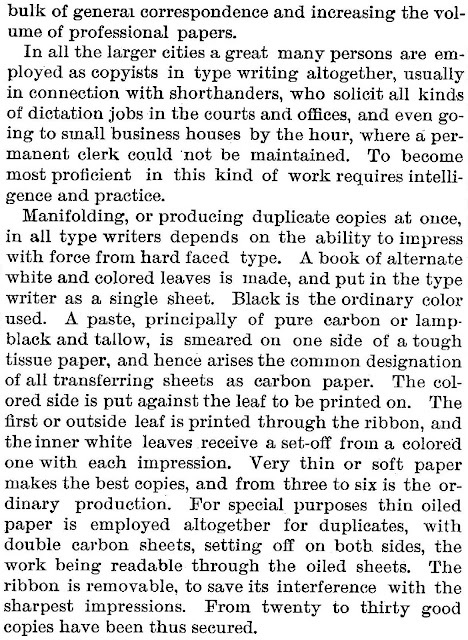 Twelve –and-a-half years after the first Sholes & Glidden left E.Remington & Sons in Ilion, New York, and at a time when the typewriter trade was really starting to boom, Scientific American decided to publish a front-page article titled, “The First Type Writing Machine”. 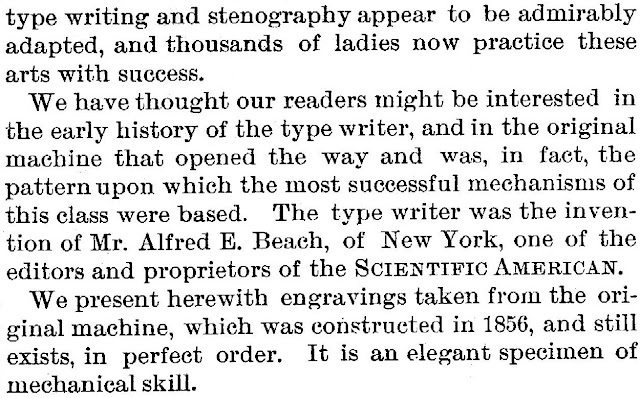 OK, the story was about Alfred Ely Beach’s machine and Mr Beach just happened to be an owner-editor of Scientific American at the time. Nothing wrong with a bit of self-publicity. 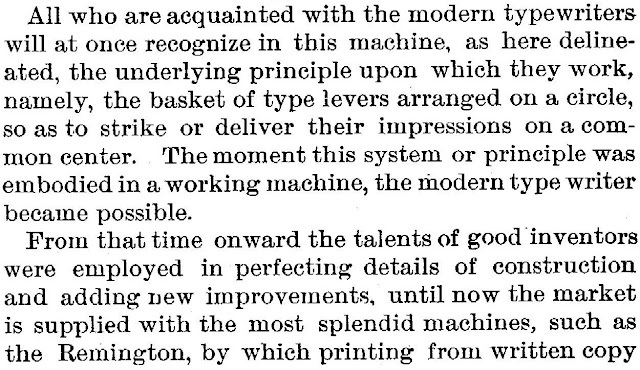 The really odd thing is that Beach patented his “improvement in printing-instruments for the blind” in 1856, more than 30 years earlier! 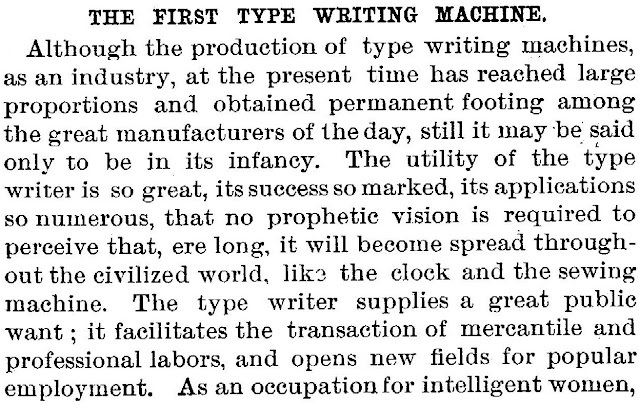 And it wasn’t “the original type writing machine” Beach claimed it to be. 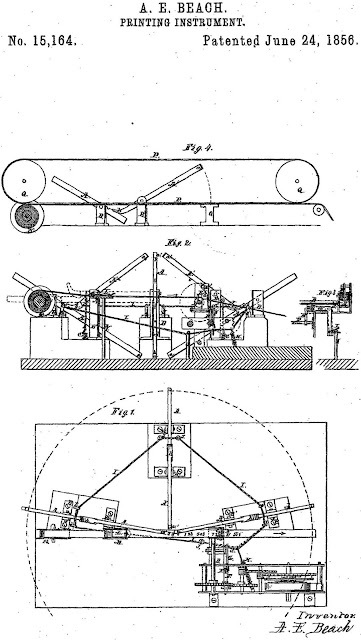 Far from it – even taking into consideration Beach’s claim to have produced an early prototype of this “elegant specimen of mechanical skill” in 1847. In his article, Beach said his patent provided the basis for “the most successful mechanisms of this class”. 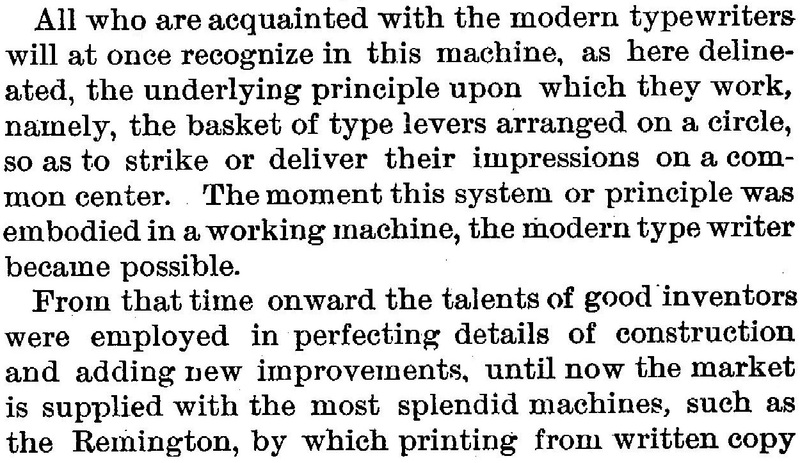 In other words, keyboard (and in the first four cases typebar) machines such as the Sholes & Glidden-Remington 1-Remington 2, the Caligraph, the Crandall and the Hammond. 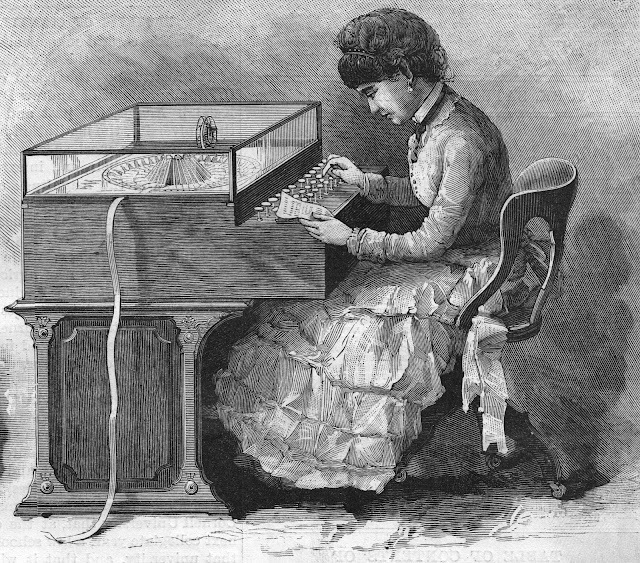 This was a theory propagated by some early typewriter historians. But Richard Nelson Current in The Typewriter and the Men Who Made It (1954) largely dismissed Beach’s claims, calling his machine an “embosser” and saying, ”Strictly speaking, it was not a typewriter at all but a device for producing raised letters on paper tape to be read by the blind.” Current did add, however, that the keyboard and typebar arrangement did “anticipate those of later typewriters”. Whether that was by a coincidence of logical development or by deliberate design remains in conjecture. Certainly Beach believed he had led the way in these areas. 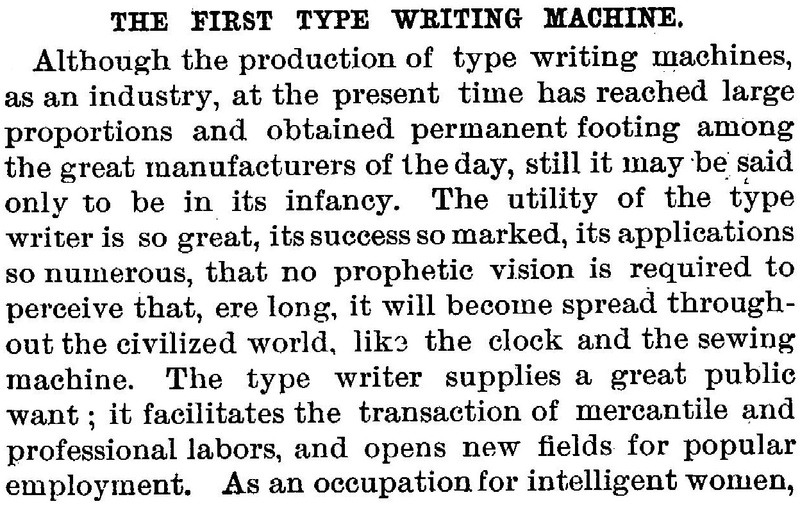 But he was way off the mark in terms of where his machine stood in the chronological order of typewriter development. It seems somebody must have fairly quickly brought this to Beach’s attention. 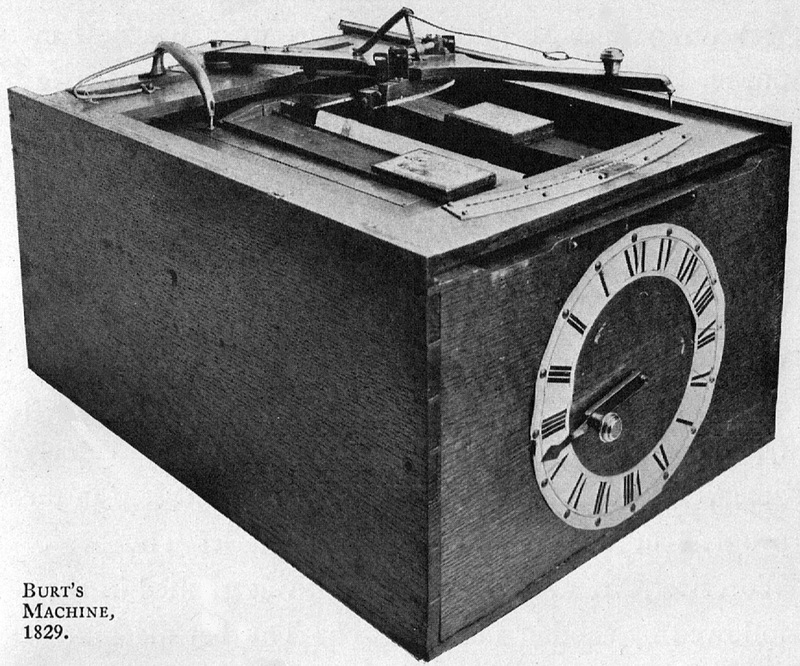 Less than four months after Beach’s article reappeared in the Scientific American Supplement of January 1, 1887, on April 30, 1887, Scientific American published an illustrated article on Charles Thurber’s 1843 machine, labelling it the “first American typewriter”. Yet again Scientific American was wrong. William Austin Burt had the honour of patenting that first invention, in 1829. 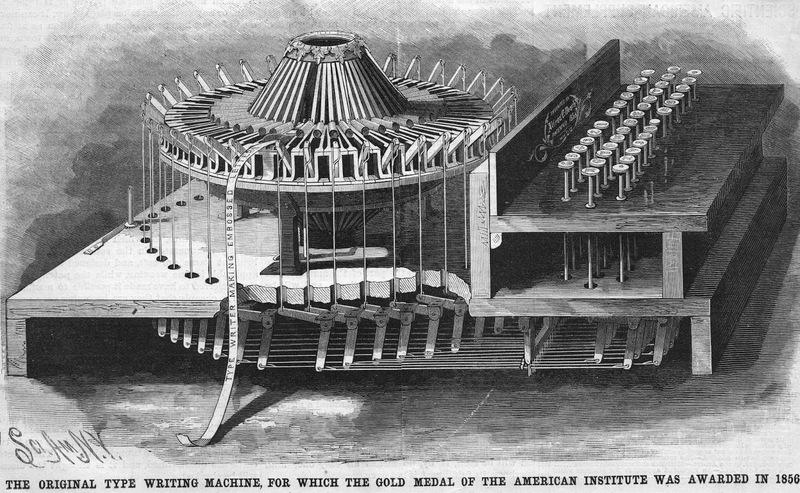 In Beach’s defence, Burt’s model had been lost in a Patent Office fire in Washington in 1836, and until the early part of the 20th century, Burt’s landmark invention had been lost from the sight of historians. 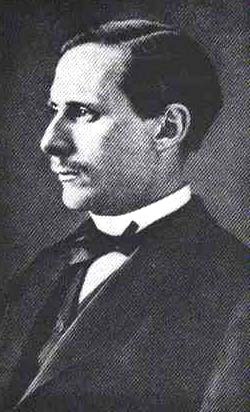 But even after Thurber, and before Beach, there had been Kentucky doctor Oliver S. Leavitt (1845), the brilliantly gifted Baltimore engraver, printer and artist Oliver Tarbell Eddy (1850), Leon, New York, inventor John Bailey Fairbank (1850), Palmyra printer John M. Jones (1853 and 1856), Wilmington, North Carolina, carpenter Robert S. Thomas (1854) and Philadelphia mechanical engineer John Haldeman Cooper (May 1856). In other words, quite a few for Beach to overlook. 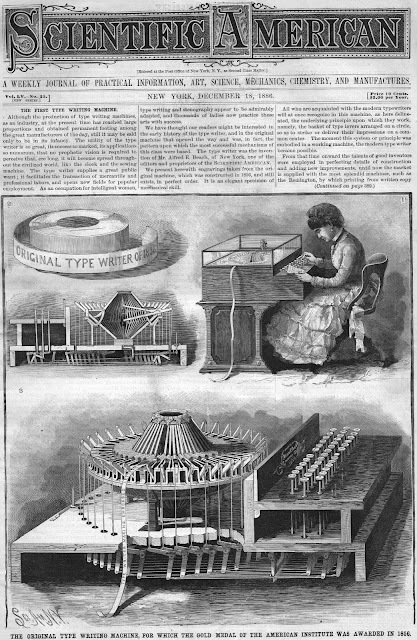 Nonetheless, when Thomas Hall applied for his first typewriter patent, for a “typographic machine”, in June 1867, he found the only two patents still in place in this field were held by Beach and Samuel Ward Francis – Francis had taken out a patent for what was variously called a “writing-machine” and a “printing-machine” in October 1857. 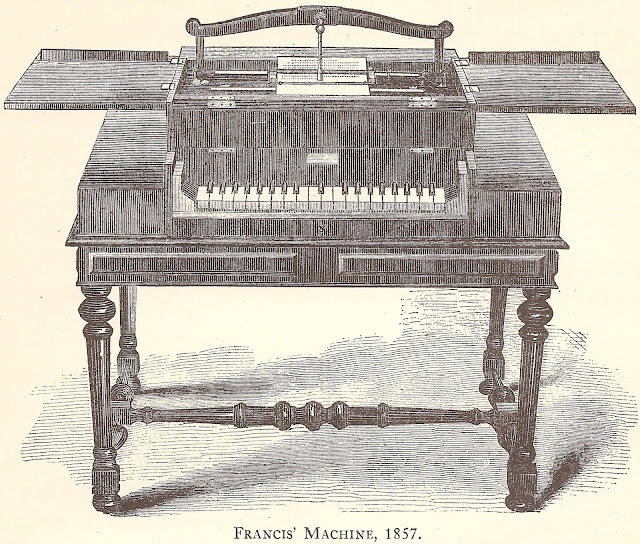 Hall immediately bought from Beach and Francis the rights to their patents, saying he “controlled the situation as far as typewriter patents are concerned”. However, Hall did not retain these rights. 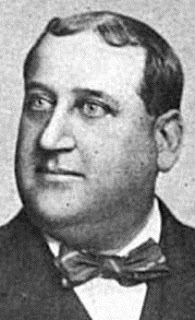 There was a suggestion that, if he had, he might have been in a position to demand royalties from the like of Christopher Latham Sholes, James Densmore, George Washington Newton Yōst, Lucien Stephen Crandall, James Bartlett Hammond and the Remington company. It was reported in Typewriter Topics that Hall might have had “almost unlimited wealth” if had he held on to the Beach and Francis rights. He was apparently ripped off by "a dishonest partner". As it was, he moved on to the Hall index typewriter, with no keyboard or typebars. 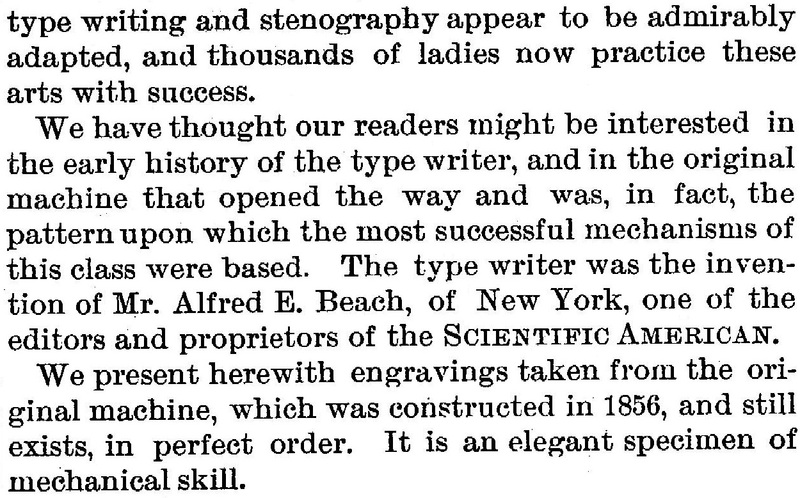 I don’t know when Scientific American finally got its typewriter history sorted out, but Burt still hadn’t gone to the head of the list when Friedrich Müller published Schreibmaschinen in 1900. 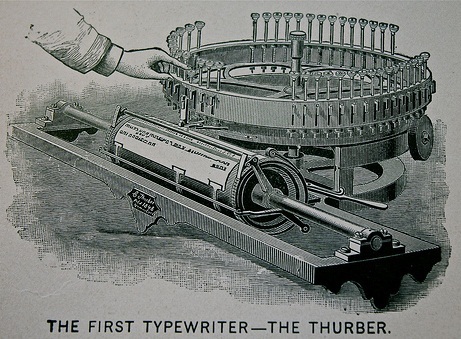 By the time George Carl Mares published The History of the Typewriter in 1909, however, correct order had been restored, though Mares overlooked Eddy, Fairbank, Jones, Thomas and Cooper. Alfred Ely Beach was born in Springfield, Massachusetts, on September 1, 1826, the son of New York Sun newspaper owner Moses Yale Beach (1800-1868), an inventor and the founder, in 1846, of Associated Press. 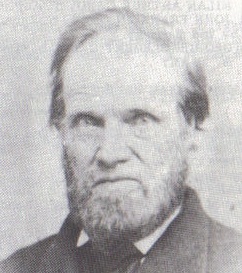 Alfred (or Ely, he varied the use of his first name) and his older brother Moses Sperry Beach (1822-1892) worked for their father until he relinquished his duties in December 1848, when the two sons jointly succeeded their father as editors of the Sun. Alfred remained in that role until 1852. 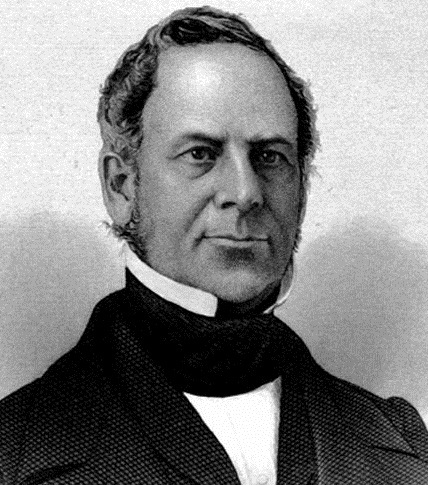 In the meantime, Alfred (or Ely), a friend, Orson Desaix Munn I, and Salem Howe Wales had in 1846 bought Scientific American from founder Rufus Moses Porter. 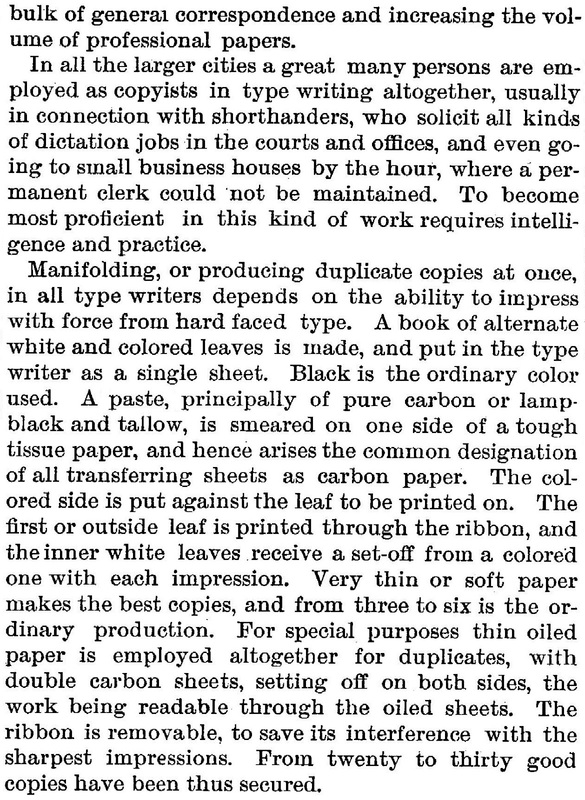 Munn & Co also established a very successful patent agency, run in conjunction with the magazine. 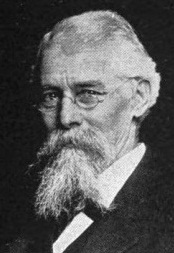 Wales was the journal’s managing editor. Beach's most famous invention was New York City's first subway, the Beach Pneumatic Transit. Beach died of pneumonia in New York City on January 1, 1896, aged 69. Thanks for another very well written informative post on typewriter history. As I was reading the article it reminded me of the continuing arguments as to who first invented radio. Marconi commercialized it, but he did not invent it as many think.